Well with the kids back at school I guess life can return to normal. Some of our Practitioners have school aged children so the holidays are often a little quieter for us. We’re back in full swing now though and we are planning our birthday celebrations. 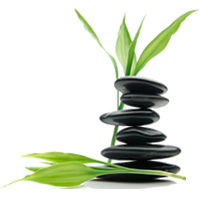 We started Simply Natural Therapies 13 years ago last Saturday. We have postponed our celebrations because we still have significant construction works in front of the shop. We will soon have a gorgeous new footpath and a clean floor again so stay tuned. As you probably guessed I’m not very good at planning ahead. I’m more of a “fly by the seat of my pants” girl but there are definitely advantages in being organized so you can pop these events in your diary now. TASTE Wednesday 20th we have a FREE 60 minute TALK and Tasting of all sorts of yummy things at 1.30pm with our Naturopath. Anna Talaj and I will be giving you some great tips on how to make healthy eating delicious. We’ll be tasting some fresh juices, herbal teas, learning about using herbs and spices for health, how to cook with quinoa and chia seeds and lots more, including our favourite recipes. TOUCH Thursday 21st Our Kindred Spirits session from 10.30am to 12noon will be all about the power of healing touch. Cost is $20 and you receive a voucher towards a massage of your choice. We’ll have Massage available throughout the day. SMELL Saturday 23rd at 12noon we have a 60 minute talk on using Aromatherapy for everyday wellbeing, with Aromatherapist and Massage Therapist, Julie van Nispen. This session will include making your own customised room spray with your chosen blend of pure essential oils. Cost is $15. Of course you can also explore all the yummy smelling things in our shop like skin care, candles, essences and incense. Mini Free 10 minute Vibrational Spray Readings are available with the very intuitive Christine Long or longer paid readings. SOUND Saturday 23rd Also on Saturday we have our very popular Sound Healing Mediation at 4pm. Cost is $30. This one is not to be missed. Believe it or not many people go into this session feeling anxious, stressed or in physical pain and float out the door feeling fabulous. So now I’ve told you all about that, today I wanted to talk to you about alkalizing. I must confess that I stole the title of this Enews from a book I read a number of years ago called Alkalise or Die. Although it sounds overly dramatic once you know how important it is for your body is alkaline you’ll understand why you seriously do need to alkalise or die. I read that book soon after I’ve been to a talk by a doctor about nutrition. This doctor described the fact that free radicals are unstable molecules steal electrons from other molecules. This is the way acid works. If you spill hydrochloric acid on your carpet the acid steals the electrons from the carpet molecules and destroys them. If your body becomes acidic from stress, toxins and the types of food we eat, the same thing happens within our body. It’s called oxidative stress and when really serious it’s called acidosis. If that sounds a bit too much like high school chemistry the just imagine a game of musical chairs. If there are not enough chairs for the number of people will fight over the chairs and try to steal cheers from each other. If the number of chairs matches the number of people everything remains calm. If there are more chairs than people all then all is sweet. So imagine the people are the free radicals in the chairs are the antioxidants. If you don’t eat enough antioxidant free radicals start stealing electrons from healthy cells. They damage the cell wall when the cell wall is damaged they start stealing electrons from all the bits and pieces inside your cells including the DNA. They start at the ends of the DNA strands. These strands are normally protected by something called telomeres. Telomeres are a bit like the plastic ends on shoelaces. They protect the shoelaces from fraying at the end. In the same way the telomeres protect the DNA but as the free radicals eat away at the telomeres become shorter. Science tells us that the shorter your telomeres the closer you are to death. Once the telomeres are gone the cell dies. Once enough cells die, you die. In a similar way the balance of minerals in our body can determine how acid or alkaline we are. When we don’t have enough easily accessible alkalising minerals we start to suffer health issues. There’s good science that shows how our acid-alkaline balance and in particular our magnesium deficiency impacts diabetes, heart disease, depression, migraines, cancer and pain. Our acid forming western diet, combined with our high levels of stress, may actually be the underlying cause of most chronic disease. When the body is too acidic it causes inflammation, connective tissue weakness, pain, and potentially adrenal fatigue, Alzheimer’s and osteoporosis. World renowned research scientist and mineral expert, Professor Jurgen Vormann and naturopath, Peter Ochsenham have recently uncovered the most misunderstood and underestimated health issues of our time – latent acidity. At Simply Natural therapies we’ve recently started using their ground-breaking new protocol to safely and rapidly alkalize the body and we’ve had some remarkable results. This protocol includes three products; an acid free probiotic, alkalising minerals and a powerful detoxing agent. These doctors have discovered that using alkaline mineral electrolytes to correct latent acidity can bring about dramatic changes in metabolic health.